The Sorrento ceiling fan features an energy saving DC motor with high airflow capabilities. Its low profile design means this Mercator Sorrento ceiling fan is a great option for those with lower ceiling heights. It comes with a 6 speed remote control and reversible settings for both summer and winter. 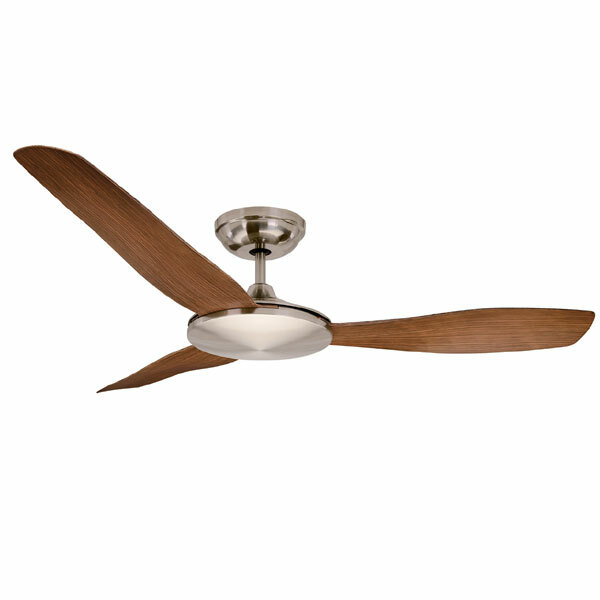 The Sorrento ceiling fan is a new fan on the market featuring a slightly curved 3 blade design. With both the style and the performance capabilities it would make an excellent addition to most modern, indoor spaces. It is suitable for the energy conscious with a low 35w DC motor and its plastic blades make it a durable and practical 6 speed fan. 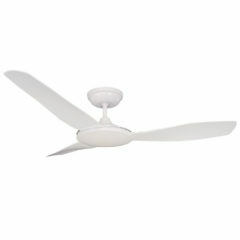 For those with a low ceiling this fan is an ideal option with its low profile design and ceiling to blade drop of 199mm. The Sorrento is brought to you by Mercator and is available in 3 colours; White, Black and Brushed Chrome (White and Black available in separate listings). 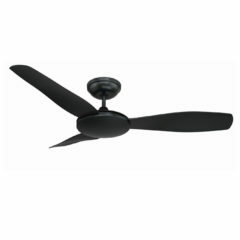 The total drop of the fan is from ceiling to blade is approximately 199mm. The drop to the base of the motor is 266mm. 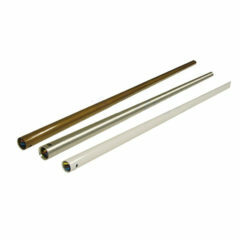 Not suitable for angled ceilings, to be installed on FLAT ceilings only.